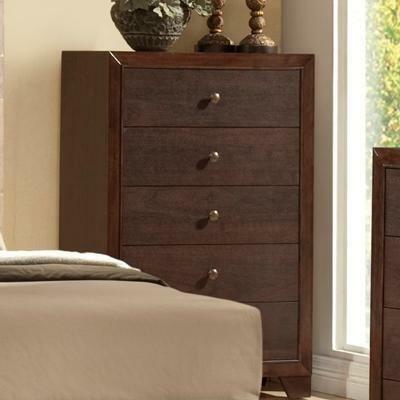 This Darryl dresser from Crown Mark can be adapted to fit into any bedroom in your home. 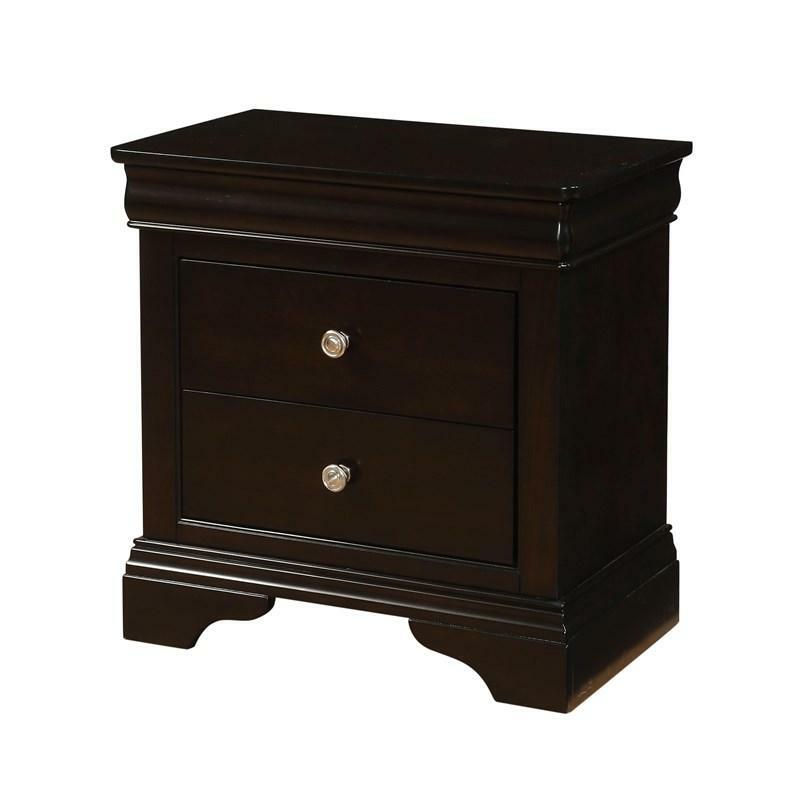 It comes in a warm brown finish and features 6 drawers and tapered wooden legs. 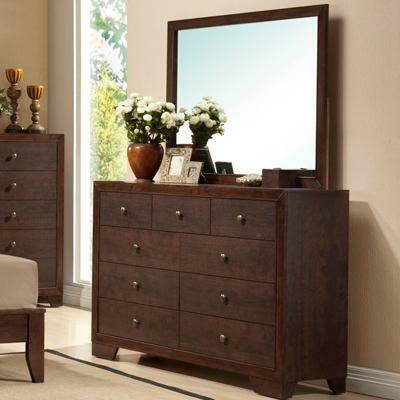 Organize clothing, linens, and accessories within this spacious dresser. 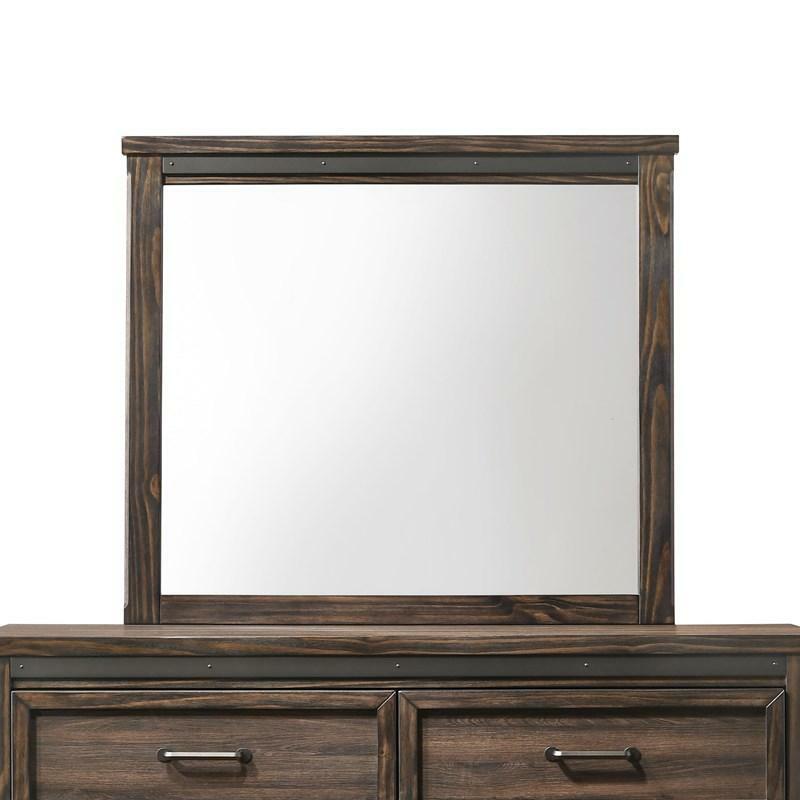 This Presley dresser mirror from Crown Mark features clean lines and a brown finish. 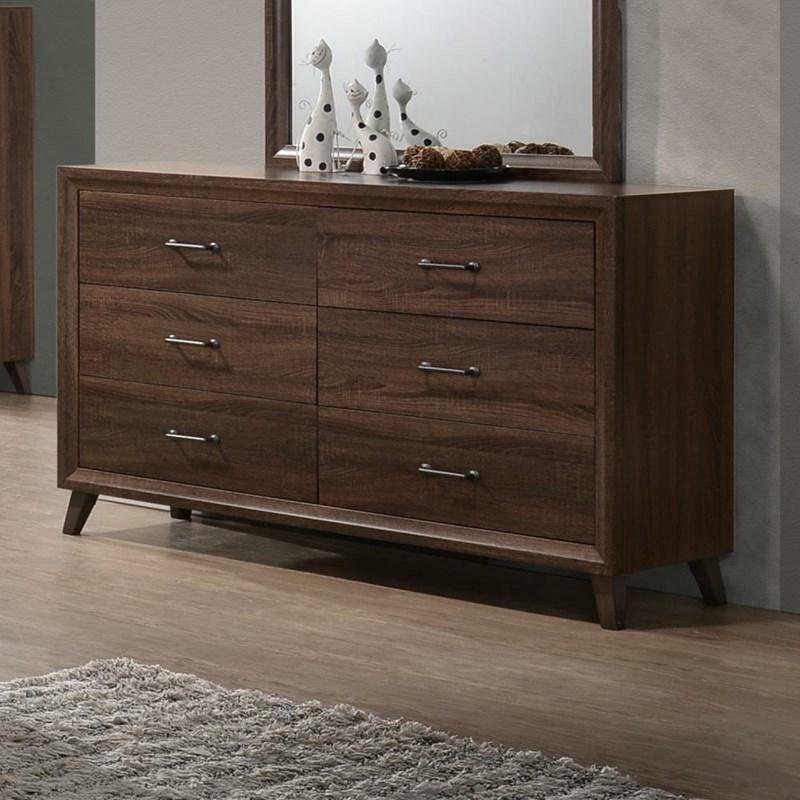 It will create a relaxing environment in your bedroom and it is a perfect match with the Presley dresser. 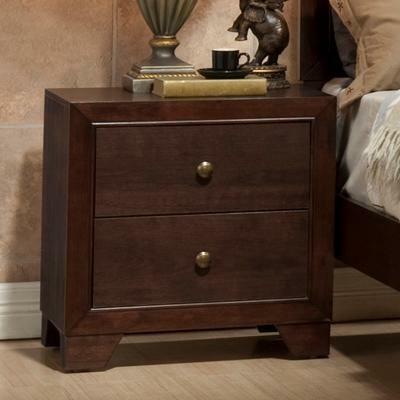 This Leopold nightstand from Crown Mark brings a classic Louis Philippe style to your bedroom. It features 2 drawers with metal centre Kenlin glides, a dustproof bottom that adds strength, and a dark brown finish. 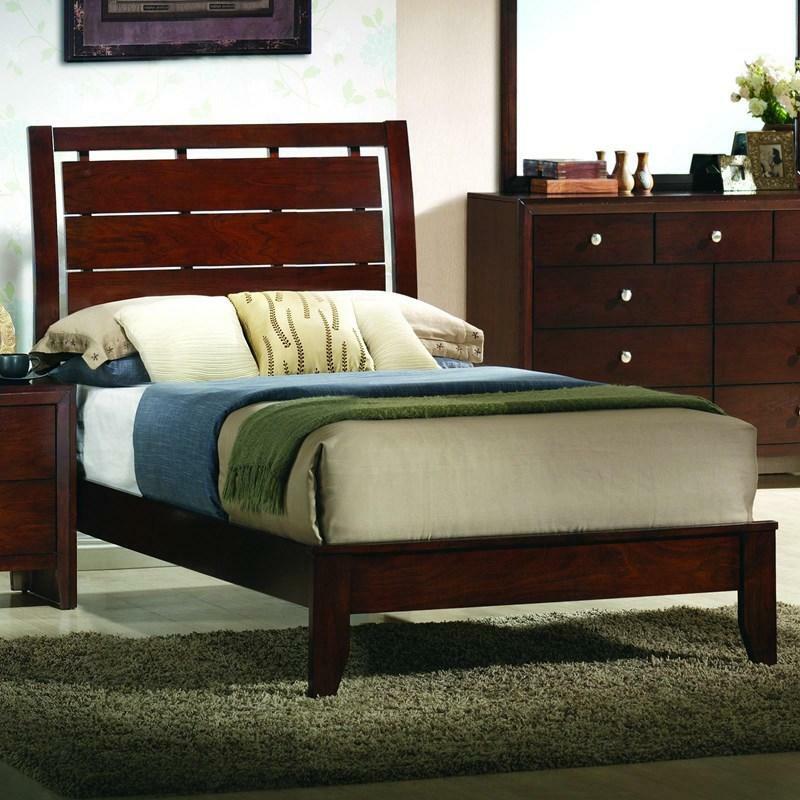 The Evan Twin Bed by Crown Mark features slight tapered legs, a softly curved headboard with slat cutouts, a low profile footboard and a deep brown finish. It is an elegant piece in any bedroom.